This morning's Wall Street Journal featured an interesting opinion piece written by Sidney Taurel, who is the chairman and CEO of Eli Lilly and Company. See below for details. My previous letter written to him can be seen here. In his commentary, Mr. Taurel argues that a lot of pharma reporting in the media is misinformation, or perhaps what could best be called sensationalism. While I agree with that general assessment, Mr. Taurel may find the reasons for my agreement a bit more disturbing. First, lets look at the big picture. Since 1997, when the Food and Drug Administration (FDA) loosened the restrictions on what is called direct-to-consumer (DTC) advertising, drug companies have spent billions of dollars advertising their drugs to a general audience. Amy Tenderich recently wrote "direct-to-consumer (DTC) advertising 'glamorizes and normalizes the use of prescription medication.'" Apparently, what Mr. Taurel refers to as "the media beast" which he claims needs to be fed copy, is not above using the media, or even manipulating the media to push drugs like Cialis for erectile dysfunction (have you seen any Cialis commercials when watching the NFL lately?). Lilly is hardly alone in this, so they can't really be singled out for the practice -- its arguably necessary to compete in this segment. To be completely fair, consumers aren't stupid, and they are easily able to distinguish paid advertisements from other media programming. But more subtle manipulation of the media is also apparently fair game, and Lilly is a master of that. But isn't complaining about the same media you feel completely free to manipulate to your company's benefit a tad hypocritical? Like anything, you cannot have the good without also having the bad, otherwise those two terms have no meaning whatsoever. But I am more troubled by what seems to be a bit of bitterness by Mr. Taurel when the company's stock price is suddenly hit, then all of a suddenly company is concerned about truth in media. Perhaps Mr. Taurel is getting ready to retire and the value of his stock options fell as a result of the latest incident. But as a Lilly shareholder, I feel company management has violated their fiduciary responsibility to us, and that does not make me happy. The insulin business has been ignored for over a decade, and market share trends reflect that. In 2000, the company had 82% of the U.S. market, while in 2006, they had just 43% according to data from IMS Health. This was done as the company poured billions of dollars into treatments for such urgent medical conditions as male impotence while investing hardly anything in the company's area of traditional expertise: type 1 diabetes treatments. The marketing of Humulin suggests that the product is human insulin, which is a false claim. Nevertheless, manufacturers re-enforced this misapprehension with a sophisticated and aggressive marketing strategy based, in part, on the premise that 'human' insulin is identical to insulin produced by nondiabetics and therefore must be safer and more effective than insulin obtained from animals. Thousands of physicians, targeted by drug company sales representatives, have internalized that message and have repeated it to their patients. You should be ashamed of your abuse of the media, Mr. Taurel. As the book notes, Humulin and other synthetic insulins marketed by other companies are by no means identical to natural human insulin as their names imply (for one thing, Humulin is not produced by pancreatic beta cells, and it is missing several elements which found in natural insulins, including the beneficial C-Peptide). And an estimated 10% of all patients, particularly those who began treatment with animal-sourced insulins, have severe hypoglycemia unawareness that is a direct result of synthetic insulin (remember that type 1 diabetes is caused, in part, by an allergy to human insulin, so this is not so surprising in light of this fact). The bigger issue is that while we all agree that the media's reporting is often lacking, one cannot manipulate that media on one hand while complaining about it on the other. None of us should buy that Lilly's overriding concern is patients. It isn't, otherwise the company would not be withdrawing insulin formulations that patients relied upon to force them to use more profitable new products. Don't expect us, as Lilly customers to agree with your manipulation of the media, nor as Lilly shareholders to justify your complaints. When it comes to describing the benefits and risks of prescription drugs, the hyper-competitive, around-the-clock media is rarely at its best. 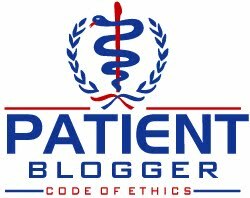 Call the following a case study in the challenge of doing right by doctors and patients -- in spite of the need to feed the media beast with copy. Our story starts Oct. 24, when several media outlets reported that Eli Lilly and Company had halted two clinical trials for the drug prasugrel -- a possible new therapy for heart-attack patients that Lilly is developing with Daiichi Sankyo. The speculation that followed these reports was that the drug must have failed its initial trials. Within a few days the market capitalization of Eli Lilly fell by about $6 billion. This speculation was unfounded and, incidentally, false. In early November, the academic TIMI Study Group announced the results of a massive clinical trial showing that prasugrel produced significant improvements in patient outcomes compared with current treatments. Specifically, the trial, known as TRITON, showed that prasugrel produced a 19% reduction in relative risk for cardiovascular death, nonfatal heart attack, or nonfatal stroke when compared with the drug clopidogrel -- today's standard of care -- and had a favorable benefit-risk profile in a large majority of patients. Statistical data can be interpreted in different ways. Some experts will reach more nuanced or skeptical conclusions about TRITON. But a Duke University cardiologist told this newspaper, after seeing the trial's results, "If you can't get a drug on the market with that kind of data, we should stop developing drugs." So what happened in those days after Oct. 24? Lilly's goal was to turn over our prasugrel findings to doctors in a manner that left no doubt as to their scientific rigor and completeness. This meant publishing the findings in a highly respected journal and discussing them directly with top cardiologists, ahead of mass-media reporting. We decided to present these findings to the New England Journal of Medicine (NEJM) and the Annual Scientific Sessions of the American Heart Association (AHA) on Nov. 4. NEJM and AHA asked for promises from Lilly and its partners, and we agreed, not to disclose any of the results of TRITON prior to Nov. 4. Such guarantees of exclusivity are not only common, but also appropriate, in focusing expert attention on important research. A definitive source and a "zero hour" of first-hand disclosure for complex scientific data help to limit misinformation. Doctors and scientists at Lilly and Daiichi Sankyo, of course, had begun to analyze the results of TRITON in the weeks leading up to the AHA meeting. In addition to showing strong efficacy, the data also showed that in three small subgroups of patients, the drug at its current dosage raised the risk of major bleeding relative to its effect on preventing heart attacks. Lilly had two small clinical trials of prasugrel underway for different research purposes, and we had received no reports of safety concerns from them. But when we saw the TRITON results, we put patients first. Based on the small chance that patients in the three identified subgroups might be given prasugrel and experience serious bleeding, we advised our researchers to suspend the two trials pending a review. Enter the beast. Ten days before our "zero hour," word leaked out, causing us to confirm that the two prasugrel trials had been suspended, although our promises to NEJM and AHA prevented us from explaining why. The media entered a feeding frenzy, catered by commentators on Wall Street and elsewhere who speculated that prasugrel posed broad risks and had probably failed its major trial. Our stock began its trip south and, more seriously, some doctors and patients were left with false impressions. Unveiling the data at AHA brought some relief. Still swimming against the tide of rumor, a few stories distorted the TRITON results, but most were balanced. In the end, the Food and Drug Administration will not rely on media reports to reach approval decisions. Lilly is confident that prasugrel will be given a chance to help patients on a large scale. There are a few lessons here that need to be learned. For the pharmaceutical industry: Preserving the integrity of scientific data and protecting the safety of patients are always the right choices. Stock prices recover but trust is much harder to regain. Trust hinges on our openness in sharing everything we know about who should use our products -- along with when, how and at what dose -- and who should not. For the media, if I may be so bold: Don't trade in leaks and rumors where scientific data are concerned. Damage to public understanding is hard to repair after it's been done. Wait for real numbers, and take the time to explain statistics and benefit-risk analysis, which cannot be conveyed in sound bites alone. And for would-be pundits: If you have not had firsthand exposure to the scientific results or specialized knowledge under discussion, then qualify your comments if you must make them at all. We all have a stake in taming this beast -- not for the sake of any company or individual discovery, but for the sake of those who ultimately rely on accurate information for the care of patients. Mr. Taurel is chairman and CEO of Eli Lilly and Company. Thanks Scott for continuing the battle. I remember when I switched to human insulin I began having more trouble with recognizing hypos. NO ONE told me this could possibly be related to the switch. It never occurred to me since my difficulties were not immeditate and there was just no discussion about the possible side effects of human insulin. I am very glad I bought and read the book by Teuscher. Allie is working really hard on making animal insulin more easily available once again. I also initially read that prasugrel was more officious than clopidogrel in its action. Due to my cynicism, I wonder if Lilly by its announcements tries to "manipulate" the Stock/Financial Markets so that its shareholders as well as the company itself could get a better return on their investments. Also, if the GM Insulin were so human in their design and action, C-peptide would never have been removed from the formula! !